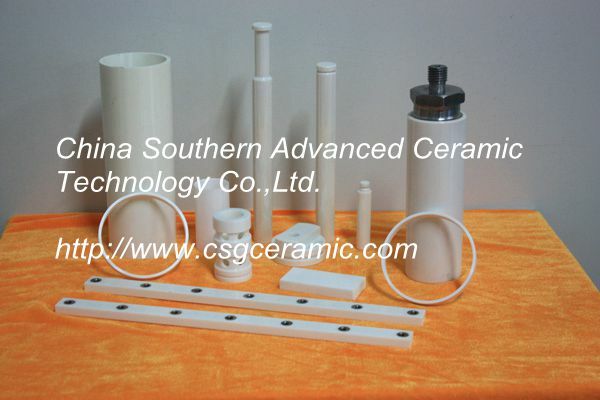 Zirconia Ceramic Tube & Tod,CSG00058,Zirconia Ceramic Tube & Tod,China Southern Advanced Ceramic Technology Co., Ltd.
Zirconia Structure Ceramic Parts also named engineering ceramics, fine ceramics, has excellent wear and corrosion resistance. Structure ceramics, combined with electronic ceramics and functional ceramics, was called industrial ceramics. The development of structural ceramics industry is refered as the “Third Material Revolution”. China Southern Advanced Ceramics Technology Co., Ltd. is mainly engaged in the research, development and application of structural ceramics.We manufacture all kinds of zirconia structural components (maximum size of single structure part : ￠500mm×600mm)such as: attritor sticks, inner liners, shaft and sleeves, wear resistant rings and plates, pistons, ball valves, bush, rod, ceramic nozzle, high precision balls etc. we can manufacture the products according to client’s requirements.